We continue to release our preview lists of the upcoming outdoor track and field season and today we're talking about the top returning distance runners among Division 4 boys. Beginning with the 800m, Geoffrey Grossthal (Valley Christian, Sr.) returns ready to turn some heads. He had a huge breakthrough last year Chandler City Champs running 1:58 to win the 800m and was the only boy in Division 4 under 2 minutes in the event. At the Track and Field State Championships, he placed 2nd in the D4 Boys 800m and 2nd in the 1600m. Talon Smith (Joseph City, Sr.) returning State Champ for the D4 Boys 1600m. Holds PRs of 4:28 for 1600m and 2:00 for 800m. Only time will tell if we will see him defend his State Title in the D4 Boys 1600m this spring. 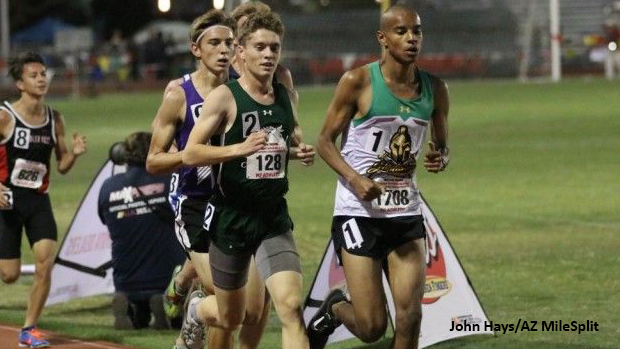 Jordan Black (North Phoenix Prep, Jr.) and Adam Whitehead (Arete Prep, Jr.) should also play factors in the longer distance races as they both have one State Title apiece. finished runner-up in the D4 Boys 3200m run at State last year. The following month, he ran 9:08.66 for 3K at the USATF Hershey National Junior Olympic Championships and then in the Fall he claimed his first State Title in Cross-Country at Cave Creek Golf Course. Meanwhile, Whitehead is the returning State Champ for D4 Boys 3200m and while he has a slightly better kick than Black when it comes to shorter distance races, it will be interesting to see if Black can clinch a State Title on the track as well as a golf course. Check out our full lists of the Top 100 returning D4 Boy Distance Runners in each event.